Phthalates are chemical compounds used primarily to enhance the flexibility and durability of plastics like plasticized PVC. 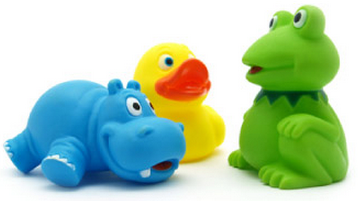 In response to consumer health concerns, phthalates are being phased out of toys in the United States CPSIA, Canada, and the European Union REACH. At high level of exposure, the toxicological properties of phthalates present a risk of cancer and can lead to adult infertility. Over the last two months, QIMA randomly selected 35 Chinese-made plastic toys destined for European and American markets. of the toys selected by QIMA Accredited Labs Partners. Approximately 25% of these toys were found to contain dangerous levels of phthalates such as ethylhexyl, consequently not conforming to EU and US chemical content regulations such as CPSIA and REACH Annex XVII. More than 130 times the allowable limit of phthalates. SPhthalate contamination is extremely widespread. In one case, a toy first aid kit was found to contain more than 130 times the allowable limit of phthalates under REACH regulations. Results like these make it clear that toy importers buying from China and Greater Asia take the greatest risk with children, the most vulnerable consumers. Lab testing your product mitigates this risk before juvenile bodily injury and criminal liability can become factors. *According to the toy specifications 3 or 6 phthalates-content test is performed. 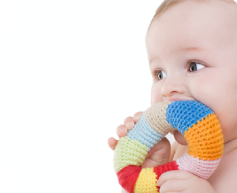 6 Phthalates test is required for plasticized material which can come into contact with a Child's mouth (pacifiers, etc. ); otherwise 3 Phthalates content test is enough.